Famous for its unspoiled gorgeous nature, vibrant cities, multiple museums and various other attractions, the state of Pennsylvania offers an abundance of sightseeings and amusements. Check out our ten choices and pick your favorite one! The park offers public programs and various events like the Perseids Meteor Shower in August. The amusement park has some classic roller coasters, as well as the newer rides. The park’s wooden roller coasters, a 1913 carousel and a haunted house dark ride give Knoebels a historic feeling. The entrance is free – another pro for the visitors. The classic park, not expensive. The staggering nature in the park attracts loads of hikers. The romantic surroundings provide amazing hiking trails, that will allow to have an exhilarating walk in the unspoiled environment. People also go biking, picnicing and even horseback riding in here. The beautiful park provides numerous beautiful views as well as outdoor activities. The resort dates back to 1796 and is said to be one of the oldest in America! The resort uses the spring water, which is rich in minerals and has healing qualities. The impeccable service and elegant interiors will ensure the best relaxing vacation! Have a romantic weekend in this historic resort while traveling in Pennsylvania. One of the best horticultural display gardens in the US is found in Kennett Square. It welcomes visitors all year round and offers a staggering exhibition of exotic plants. A lot of events, lectures, performances and workshops take place here as well, allowing visitors to learn more about horticulture. A real treat for one’s eyes, as the well maintained gardens offer an exquisite opportunity to admire the rarest plants. Also known as Kaufmann Residence, the building was designed in 1935 and is a popular tourist attraction. It is built above the waterfall, giving the impression that the fall drops from the house. First it was a private property, but later has been designated as a National Historic Landmark. The house is listed as one of the most important architectural achievements in American history. The natural wonder runs along Route 6 S, just south of Ansonia. The iconic views from Leonard Harrison State Park are especially picturesque. The canyon is covered in thick forests and is famous for unspoiled nature and wildlife. Admire the breathtaking views of this natural wonder. The capital of Pennsylvania is a fun destination to go to. The city is packed with amazing architecture, museums, galleries, restaurants and shops. The Pennsylvania State Capitol crowns the cityscape with its majestic white dome. Visit this dynamic city, which has plenty activities and landmarks to offer. The second largest city in the state of Pennsylvania is a hub of culture and various urban entertainment. The Downtown is especially vibrant and packed with museums, galleries, restaurants, cafes, shops and other businesses. One of the most amusing and entertaining cities in the state. The largest city in Pennsylvania, Philly has a stunning skyline, parks and proper urban entertainment. The Independence National Historical Park is one of the most famous and popular tourist attractions, providing an insight into American history. 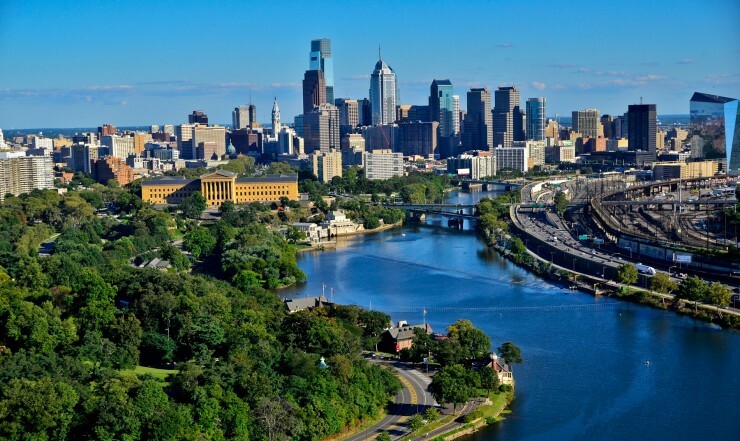 Explore the versatile culture as well as history of America in Philadelphia.